Procedure to Delete Facebook Account Permanently: Sometimes you just want to get off of Facebook but can't because you don't know how to go about the account deletion. Facebook have buried the option to delete account. This post will unveil everything - - Read on.. Most of the people now know how to deactivate their Facebook account. 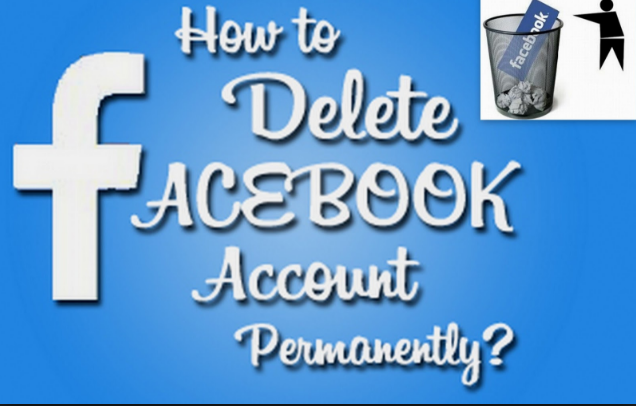 But it is also possible to permanently delete your Facebook account if you so wish. Do remember to download a copy of your Facebook data before deleting your account. Facebook is the biggest social network in the world with around 1.28 billion active users per day. An uncountable number of profiles come into existence every day. Many people post almost all of their life activities on Facebook. For some people, it’s only a medium to remain connected with their old friends and remember their birthdays. Sometimes you want to get out of your Facebook life and enjoy the real world. You do this by deactivating your Facebook account. But you can also delete your Facebook account permanently if you want to leave Facebook for the rest of your life. Make sure you’ve downloaded a copy of your Facebook data before deactivating or permanently deleting it. You might be aware of the fact that you can gain access to your Facebook account after you’ve deactivated it. But be careful, you won’t get the chance to change your mind after you’ve deleted your Facebook account permanently. So, take your decision wisely. It will take 90 days for Facebook to delete all your photos, videos, posts, likes, comments, messages, and everything else. Other Facebook users won’t be able to visit your profile during the deletion process. However, the text messages, images you’ve sent to your friends via chat will reside at their end because they’re a part of their account also. You can ask them to delete your messages.